Since 1998 We offer years of experience,and approach your house,condo,business space painting needs with patience and first class care. My company challenge is to give your property the very best in painting services and We will always leave the job cleaner than we found. 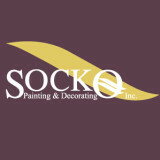 Sockopainting favorite paint company is Benjamin Moore.We paint with Benjamin Moore zero Voc or low Voc top of the line products like AURA,REGAL,NATURA,AURA EXTERIOR,ARBORCOAT for residential and SCUFF-X for commercial jobs. The best painting service around your valuable property is the most important for My company.All workers are insured and employed by Socko painting and all workers speaking English for better communication between costumers and painters.We have earned the respect of residential and commercial costumers throughout the Chicagoland Area.Please visit our website for more information.I don’t say everything but I paint everything. At Faux Design Studio Painting, we've built our livelihoods on creating the perfect environment for your home or business. From the simple to the lavish, we've experienced it all and we can help you every step of the way. No job is too complex for our knowledgeable crews. We've happily done it all for 25 years now! Moving forward with our dedication to providing the best possible service and continued support for our potential customers, we would like to invite you to our show room located in Lake Zurich. We hope that by taking part in it, you will be given a better idea of the quality of work that we can produce. Give us a call at 847-870-6800 so that we can schedule your visit! Lake Forest & Lake Bluff Painting & Remodeling has been serving the North Shore of Chicago for over 30 years. 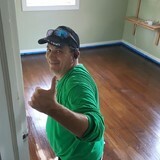 Founded in 1980 by Brion Miller, Owner and President, we offer fine interior and exterior painting as well as full scale remodeling projects including kitchen and baths. Our services are the highest of quality and workmanship. Our team are true masters and artisans. We are fully insured and EPA Lead Safe Certified. 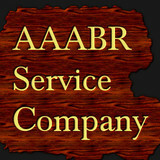 Below are just some of the services we provide: •Interior Painting •Faux Finishing including Venetian Plaster •Wall Paper Hanging •Wood Graining and Staining •Paint and Wallpaper Removal (EPA Lead Safe) •Exterior Painting •Wood Rot Removal and Repair •Window Repair and Replacement •Power Washing •Paint Removal (EPA Lead Safe) •Full Scale Remodeling •Master Carpentry and Custom Mill Work •Electrical •Plumbing •Roofing and Gutters We are environmentally friendly and follow EPA Lead Safe procedures and offer low to 0 VOC paints and stains. Welldone Painting and Restoration is a professional painting design studio. We specialize in both exterior and interior painting solutions and use only the highest quality materials. HPO Painting has been proudly offering design, decoration and painting services in Crystal Lake and the entire northwest suburban area for 25 years. Our priority is the satisfaction of our clients, so we always take the time to ensure you are satisfied with the design of your space before starting any work. Our skilled and qualified painters have years of experience in all types of interior and exterior painting projects in the Crystal Lake area. 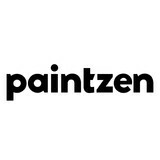 They will be working closely with clients to ensure your painting project is successful. 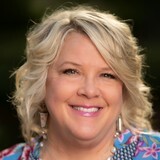 “Great experience with LZ faux design studio!